Hello! Today's post is a little more serious and personal than what I usually post but if I'm honest about my favourite beauty products, why not be honest about how I'm feeling? Lately I've been feeling pretty disheartened and frustrated with blogging and social media for a few reasons. Usually I try to be as positive as possible, especially online, and I'd much rather work through something that's bothering me privately but for the past week or so I've tried that and it hasn't really worked which is why I'm writing this post. Instagram and Facebook's algorithms (the thing that decides what posts the users want to see most) have been really restricting how many of you are seeing my posts and lots of other bloggers have been experiencing this too. For example on Instagram I have over 19,000 followers and at best my photos are only reaching 8,000. Instagram used to be my favourite social media platform and I always put effort into the photos I post so the fact that it's a struggle to get even half my followers to actually see the photos is so frustrating. It's a total 'first world problem', I mean there are far worse things in the world than Instagram's algorithm but it's still disheartening nonetheless. As for blogging, I've always had a little love/hate relationship with it, there are months I absolutely love it and feel so motivated and then there are months where it feels like a chore to write posts. Usually, when I'm feeling frustrated with blogging, I take a step back and skip a post or two, but recently the relationship has been a little bit more hate than love which is sad to me and I'd rather chat to you all about it. I've been blogging for over 2 years now and I've come so far from my first posts but blogging has changed and sometimes I don't think it's for the best. The 'blogging world' is so over-saturated now, almost every knows someone who has a blog personally and while I think it's great that so many people are sharing their thoughts on things they love, it doesn't leave a lot of room for individuality. One of the main things that gave Penneys To Prada some individuality back when I started was the Penneys aspect of it. I'm almost sure my blog was the only one with the word 'Penneys' in the title and when I set up this blog's Facebook page, it was the only dedicated page for all of the new things coming into Penneys, and besides me, there was a handful of pages that would post the odd Penneys picture now and again. 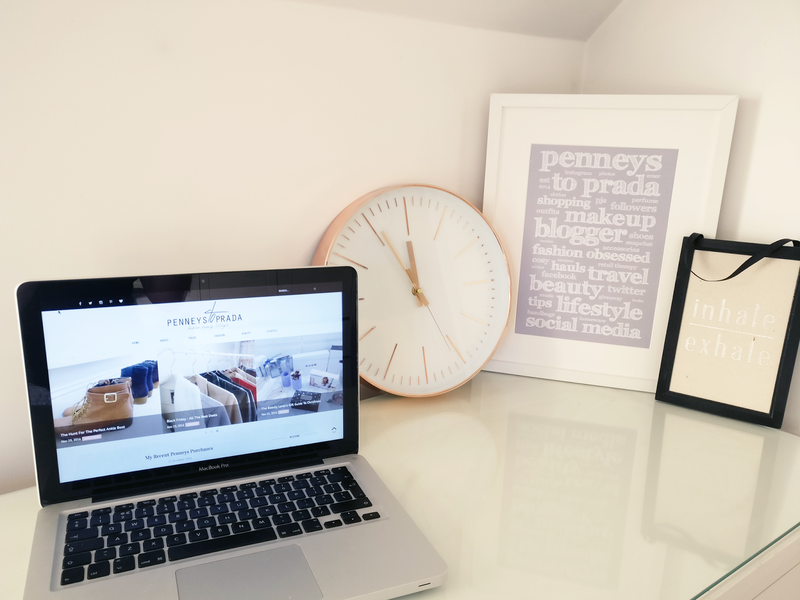 I was (and still am) a total Penneys addict and back when they didn't have a website, it was hard to see what was coming into stores, so people really loved seeing my posts because they could keep up to date and grab all the best bargains! In the last year or so, countless Facebook pages and Instagram accounts have popped up that are dedicated to Penneys, which makes total sense to me, people obviously love these types of pages and accounts so why not make one? I think it's great that Penneys has become so hugely popular, with people boasting about how cheap they're gorgeous camel coat was, I'm just not sure if I should keep going with my Penneys posts, since there are now so many other pages and accounts posting the same products. It's something that keeps going through my head lately so any feedback or opinions are very welcome. So there we have it, I always believe honesty is the best policy which is why I chose to write this post. Thanks so much for reading.